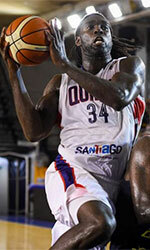 Penarol Mar del Plata (LigaA) waived 30-year old American swingman J.R. Giddens (196-98kg-85, college: N.Mexico). In 17 LigaA games he recorded 12.1ppg, 5.6rpg and 1.2apg this season. 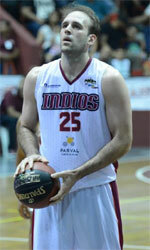 The last summer Giddens played at Vaqueros (BSN) in Puerto Rican league. In four games he averaged 10.0ppg and 3.8rpg. The last (2014) season he played at Centrale del Latte Brescia (A2 Gold) in Italian league. In 30 games he averaged impressive 17.6ppg, 9.2rpg (#3 in the league), 2.2apg and 1.3spg. A very good season in his career as he was voted to Eurobasket.com All-Italian LNP Gold 1st Team, All-Imports Team and to the All-Star Game. In 2008 Giddens was drafted by Boston Celtics (NBA) in first round (30th overall). The former University of New Mexico star	is in his seventh season in pro basketball. Giddens played in the final of Italian Lega Due in 2013. He is a very experienced player. Giddens has played also professionally in Greece (PAOK Thessaloniki), Poland (Asseco), Spain (Valencia Basket) and D-League (N.Mexico T., Utah F. and Maine Red Claws).